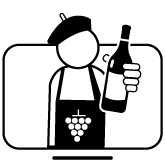 Home > Wine for Dummies > What licenses are required to sell alcohol? What licenses are required to sell alcohol? 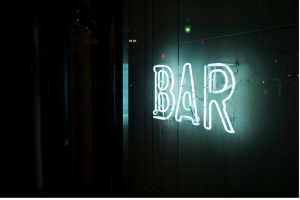 In line with the articles for professionals, we propose in this article some indications on the licences necessary for establishments concerning the sale of alcohol. Thus, we will try to introduce you to the essential passages, and help you understand the importance of these licenses. A catering licence will be required if you open a establishment with a drinking establishment. 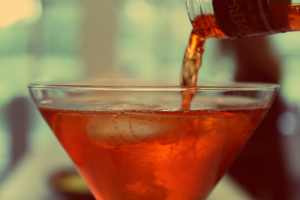 However, there are several types of licenses, depending on the beverages you offer, and depending on the service: indeed, licenses vary depending on whether you serve the beverage during the meal or not. 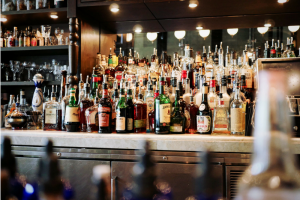 When you open your restaurant, you must therefore ask yourself if you will sell alcohol; if you will sell alcohol outside meals; and which type(s) of alcohol(s) you intend to sell. Your answers to these questions will guide your choice, and allow you to choose your license. First of all, it should be noted that the different types of alcohol are divided into five groups. They are classified by alcohol level. Group 1 is non-alcoholic beverages. Group 2 no longer exists. Group 3 includes non-distilled fermented beverages and natural sweet wines (wine, beer, cider, perry, liqueur wines, basic wine aperitifs and strawberry, raspberry, blackcurrant or cherry liqueurs, with a maximum alcohol content of 18 degrees). Groups 4 and 5 include rum and distilled alcohol. Depending on whether you serve alcohol outside of meals or not, you will need to apply for a different licence. If you only serve alcohol with meals, you will need to apply for a "restaurant licence". This is available in two licenses: with a Small Restaurant license, you will be able to sell drinks from Groups 1 and 2 (on site) and Group 2 (to take away). With a Grand restaurant license, you can serve the drinks of the four groups on site. If you wish to sell alcohol outside of meals, you will need to consider an "On-Site Beverage Licence", which comes in two categories. The 2nd category license will allow you to sell non-distilled fermented beverages, i.e. beer, wine, perry,... which correspond to groups 1 and 2. 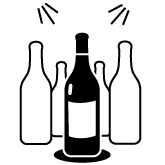 The 3rd category license authorizes you to sell 1st and 2nd group drinks, as well as all alcohols at a level equal to or lower than 18° of alcohol, i.e. group 3 drinks. Now that you know which license to apply for, you can take the necessary steps! Remember that a liquor license is required to sell alcohol and all other alcoholic beverages in your establishment. Before you can apply for your restaurant licence, you must have an operating permit. Then, you will have to make a declaration to the town hall with the cerfa n°11542 04. A little tip: take it in advance! The request must be made at least two weeks before the opening of the establishment. You will then have to submit the receipt of the licence declaration granted by the town hall to the Registrar of the Commercial Court. Now that you know everything, all you have to do is get started. The hardest thing would be to choose the type of beverages you will sell in your establishment. Good luck with that!